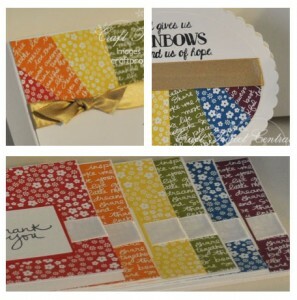 Just Julie B's Stampin' Space: Rainbow Note Cards! 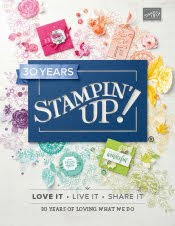 Nothing says happy more than rainbows, and Stampin’ Up has a new stamp set celebrating just that! This set of six rainbow colored note cards features the new Brights Designer Series Paper Stack and the Over the Rainbow stamp set. The note cards fit perfectly in a modified pizza box and come with a matching oval shaped card. This set would make an excellent gift as well as a class or club project. This fun project was made by Yapha Mason and you can get her tutorial when you subscribe to the month of July over at Craft Project Central.